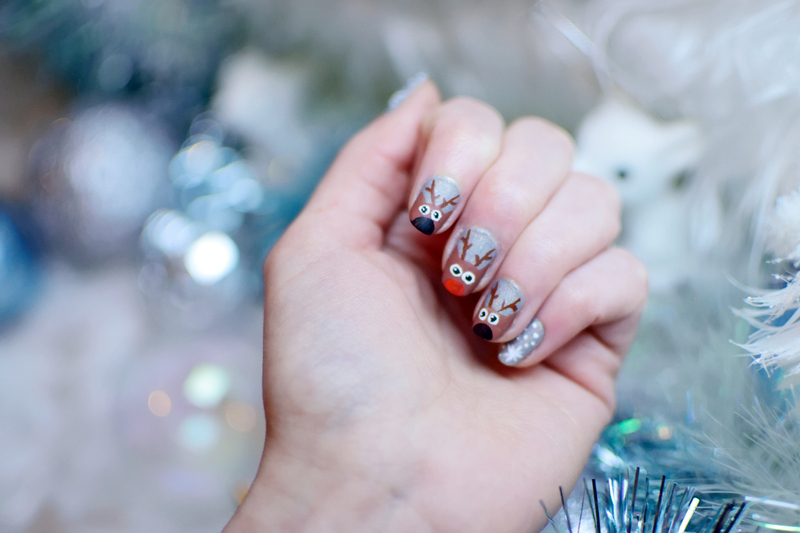 Nail art de noël facile : Rudolph et ses amis ! Hello everybody ! Today we’re already the 1st of december, time is running out. 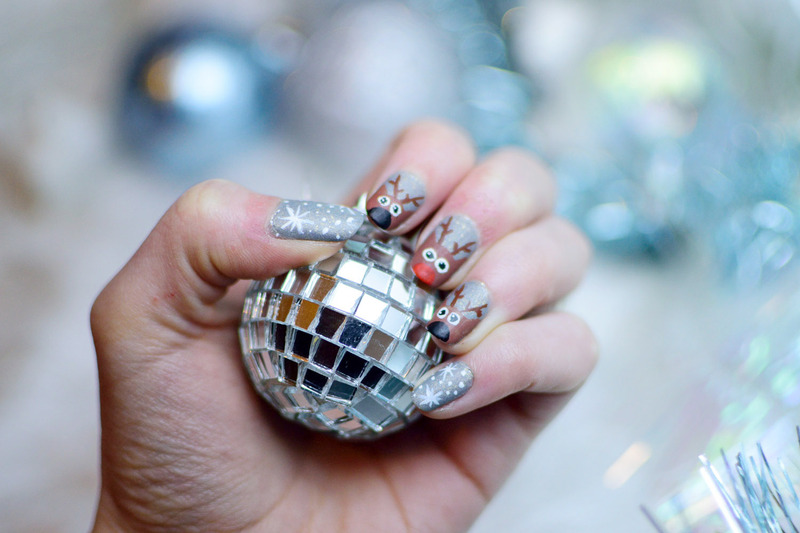 So to stay in the mood, I suggest you a small Christmas nail art. Not having time to practice, the only moments I can try to improve my technique is when I decide to do a new article here, lol. 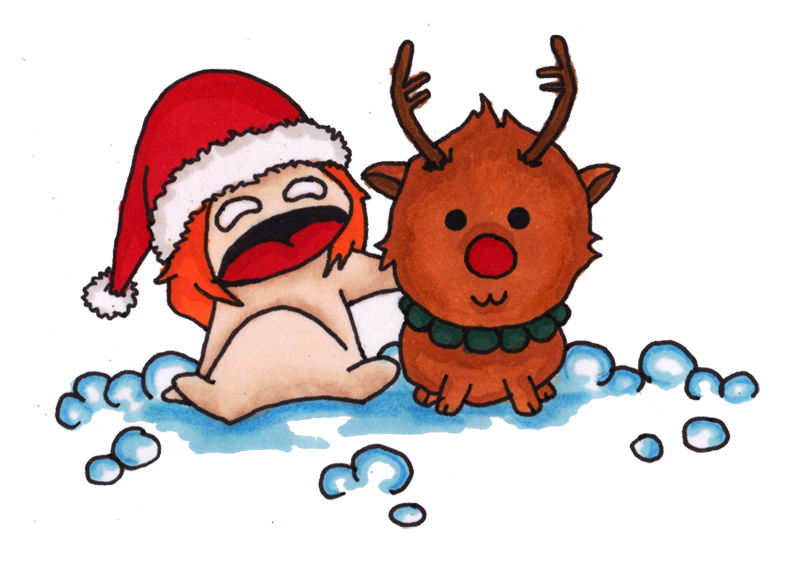 So, I propose you to realize these funny little reindeer on a snowy background ! 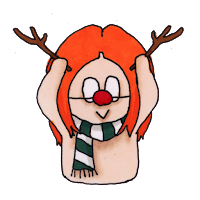 Basic and childish shapes that stick perfectly to Christmas ! And I think that the harmony of the colors is really nice. 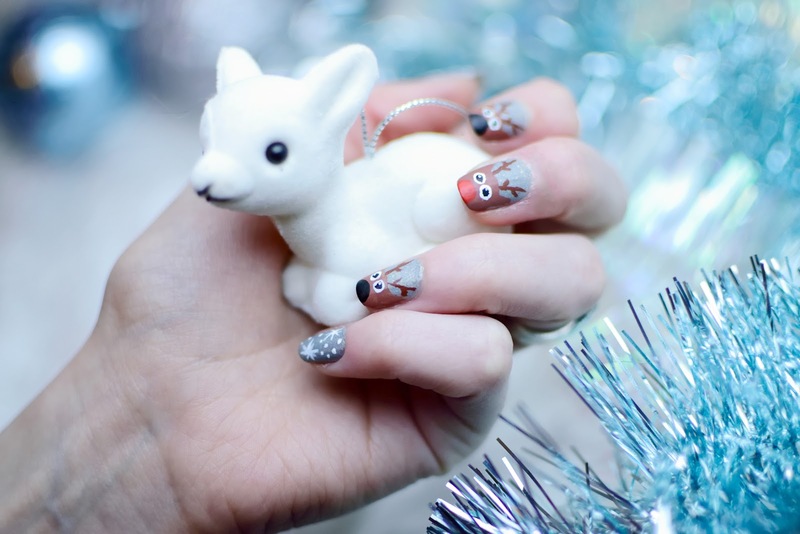 I love the mix of this gray golden glitter (Il Etait Un Vernis “Chardonnay” vegan nail polish from “Grands Crus” collection) combined with the brown of the reindeer and the white of the snow. It's sweet. Moreover, the matte top coat that I had recently bought on IEUV (again) is magic ! My nails don’t shine anymore, we can much better see the pattern. 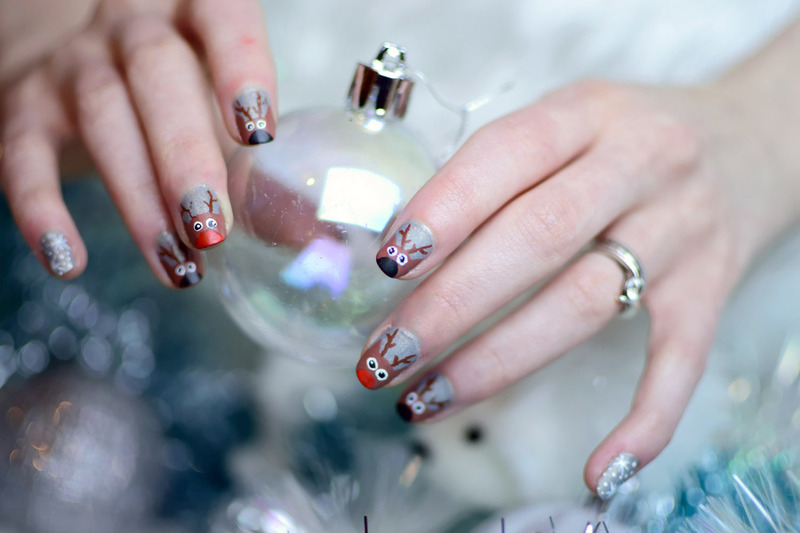 So, want to adopt this nail art ?